and grand daughter of Dr. Joan Power. 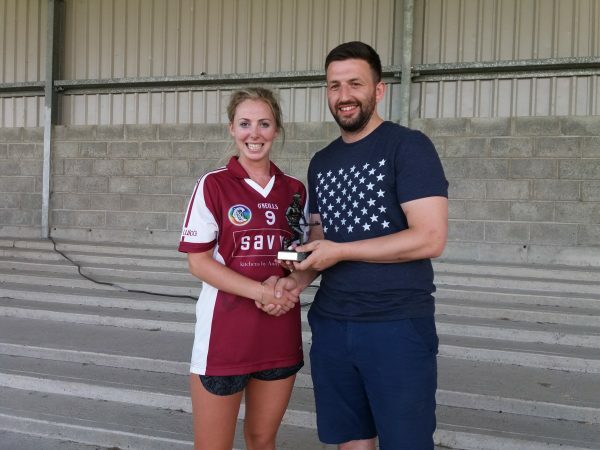 The ​​​​​Linda O’Connor 7 a-side Memorial Tournament took place on Saturday last, with the blistering heat a major factor and an excellent display of hurling. Teams to compete were Kilruane, Kildangan, Ballina and Borris-Ileigh. 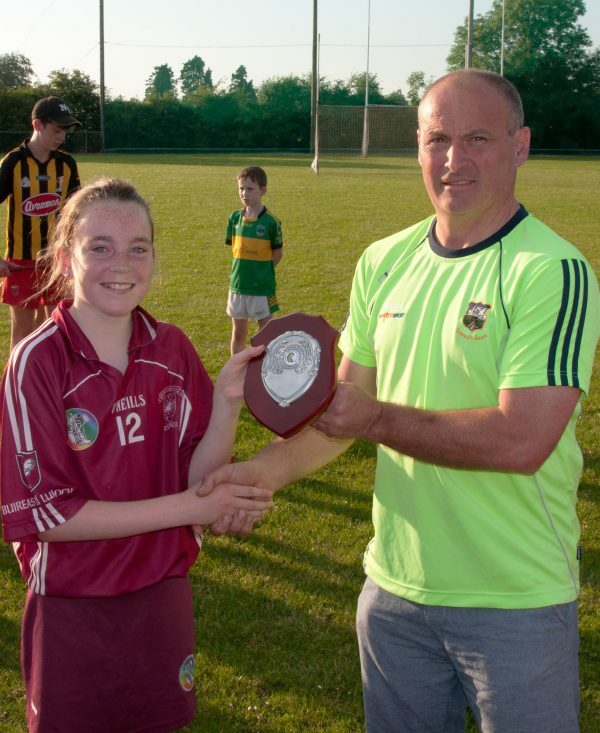 Teams who contested the final were Kilruane and Borris, with the Borris girls the outcoming tournament winners. Well done girls and many thanks to managers and selectors. Many thanks to all the clubs that participated and hopefully enjoyed the day. U16’s had a good win over Moyle Rovers on Monday last. 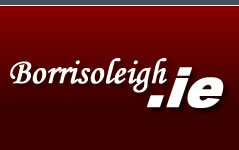 Final score: Borris-Ileigh 2-10, Moyle Rovers 3-03. Scores from: Katie Fitzgerald 1-05, Chantal Feighery 1-02, Emma Galvin 0-01, Kelly Healy 0-01 & Katie Boyle 0-01. 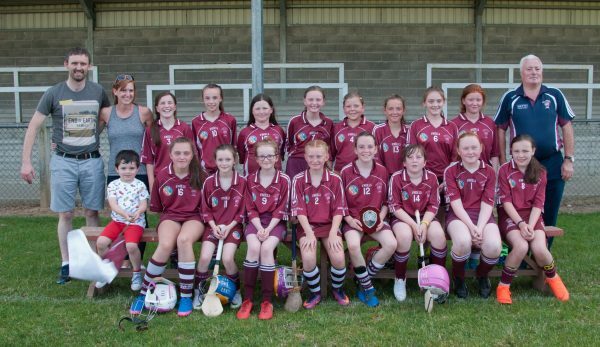 Congrats and well done on a fantastic League County final win over Portroe for our U12’s last Thursday. 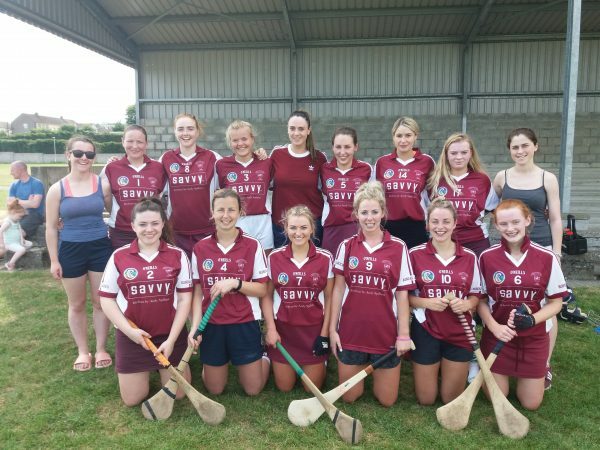 A very closely contested match, where both teams were level at half time but a goal a piece from Aoife Fitzgerald and Ava Bevans widened the gap and resulted in a final score of: Borris-Ileigh 2-03 to Portroe 1-03. Scores from: Ava Bevans 1-02 and Aoife Fitzgerald 1-01. 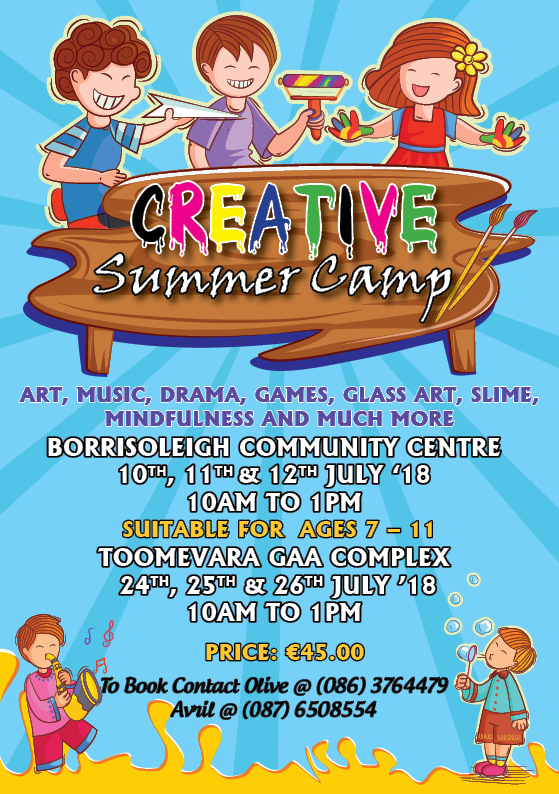 PANEL: Lisa Carr, Eve Maher, Niamh Ryan, Gabrielle Hodgins, Emma Maher, Alesha Fanning, Ella Ryan, Hannah Clarke, Anna Fitzgerald, Aoife Fitzgerald, Ciara Maher, Ava Bevans, Kalyn Treacy, Aodhamir O’Hagan, Emma Quigley, Nicole Colgan, Tara Kennedy, Therese Groome & Aisling Boyle. 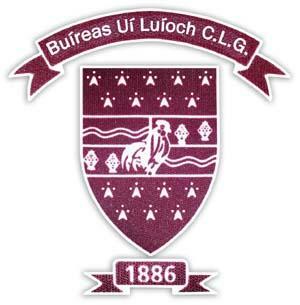 U10’s – Many thanks to Burgess Duharra GAA on being great hosts at U10 county blitz last Saturday. Next dates: July 28th, August 25th & September 29th. Our final “Tipperary Water” County Senior Hurling League group stage fixture has been re-fixed for the week after the match was not completed last week due no referee turning up to officiate the game. It will now take place on Tuesday the 3rd of July in Thurles at 8pm. A victory would send us through to the Semi Final of the competition where we would take on Kildangan. The details of this game have not been fixed yet but should we win or Tuesday the details of this fixture will be posted across all our social media platforms and Clubify. Best of luck to both players and management, all support greatly appreciated. Commiserations to our Junior ‘A’s who were defeated comprehensively in Round 3 of the North Junior ‘A’ Hurling Championship in Templederry yesterday evening against Nenagh Eire Og. We started the game brightly and took an early lead thanks to a couple of well opening scores from Ryan Murphy and Keith Ryan in midfeild. But unfortunately we didn’t make the most of our early opportunites with the Nenagh goalie pulling off two top class saves in the first 20 minutes of the game. Firstly from Ryan Murphy and secondly from Micheal Carey which would prove crucial in the overall context of the game. A couple of David O’Connor frees kept us in touch but a Nenagh goal in the 22 minute followed by a run of 7 unanswered points was a real sucker punch for the lads as we went in 1-13 to 0-05 down at the break. Nenagh continued their dominance getting the majority of the scores at the beginning of the second half extending their lead out to 14 points despite the best efforts of substitute Tomas Ryan and Keith Ryan who both chipping in with points but the game had ceased as a contest at this stage. A very disappointing evening all round with Nenagh running out comfortable winners in the end on a score line of 1-22 to 0-10. We now have a chance to redeem ourselves this weekend when we take on Burgess in Round 4 this weekend. The game will take place on Friday in MacDonagh Park in Nenagh at 7.30pm. Best of luck to both players and management in what is a must win game. All support greatly appreciated. Our Minor’s will resume their campaign in the North Minor ‘A’ Hurling Championship this week after the examination break when they take on Ballina in Round 2 of the competition. This game will take place on Thursday the 5th of July in Dolla at 7pm. Best of luck to both players and management. All support greatly appreciated. 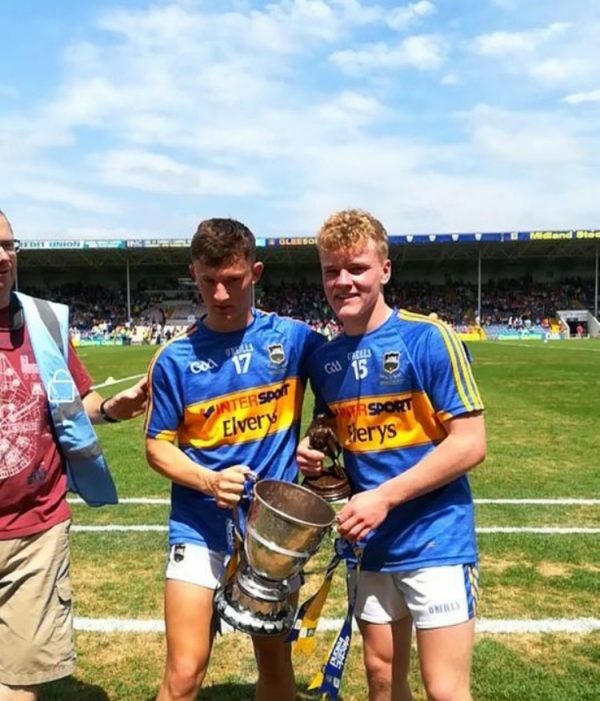 Congratulations to the Tipperary Minor hurlers on beating Limerick in last Sundays Munster Minor Hurling Final in Semple Stadium in Thurles. They ran out very impressive winners on a score line of 1-20 to 1-12.Well done to both players and management on such a fantastic achievement especially our own Kevin Maher and JD Devaney who was a worthy recipient of the Man of the Match award. We are very proud of the lads and they have represented our club in such great fashion throughout the Munster Championship. They now are straight through to an All Ireland Semi Final where they will face one of the two winners of the All Ireland Round Robin series which contains Kilkenny, Dublin and Limerick. Dublin are straight through in the other Semi Final after being crowned Leinster Champions last Saturday after victory over Kilkenny. Best of luck to both players and management for the rest of the championship. Borris-Ileigh juvenile fixtures for week commencing Monday 2nd July. Borris-Ileigh V Roscrea in Roscrea @ 7pm. Borris-Ileigh V Kiladangan in Puckaun @ 6.45pm. Borris-Ileigh V Roscrea in Roscrea @ 7.30pm. Borris-Ileigh V Burgess in Kilcolman @ 7pm. 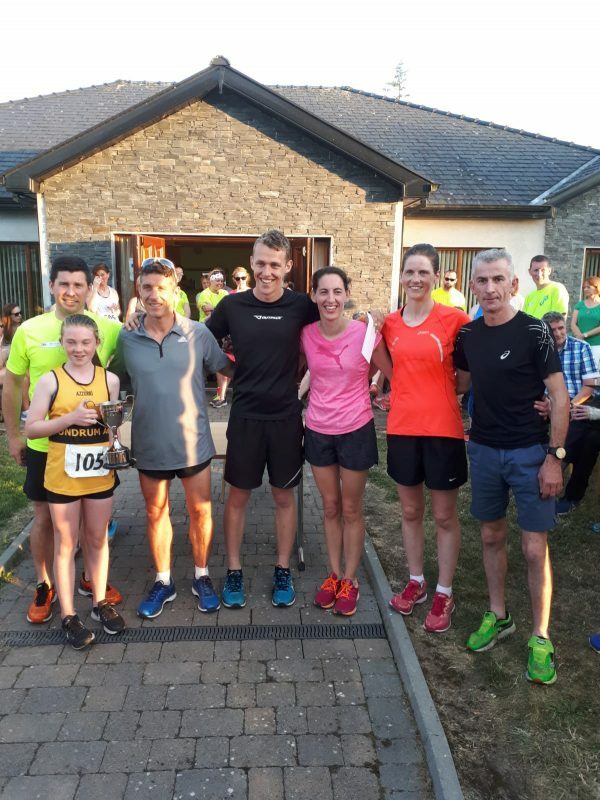 The fifth annual Borrisoleigh 5km which was sponsored by Declan Maher Financial Services was held in blistering heat but that did not deter one of Ireland’s finest athletes from ripping his own course record apart with a relentless pace from start to finish. 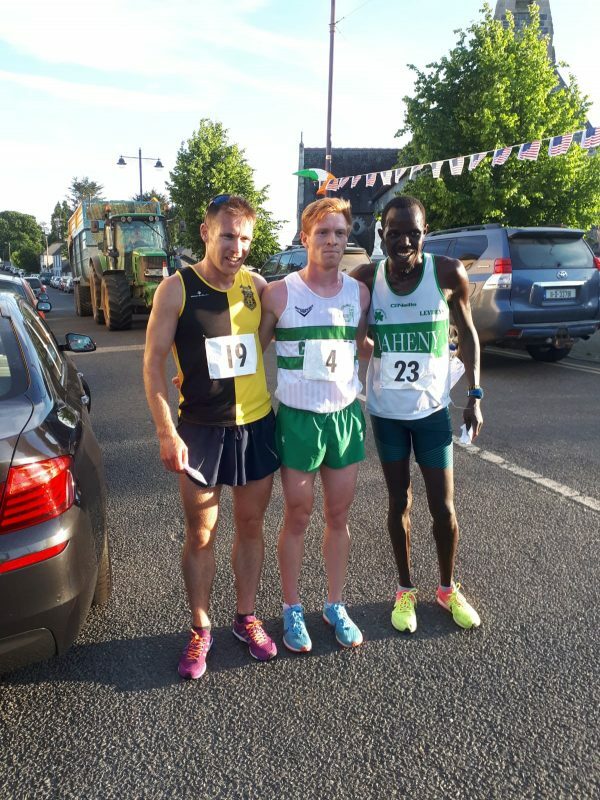 Once the siren echoed, Clonmel’s Sean Tobin took the lead followed by Freddy Keron Sittuk of Raheny Shamrocks and James Ledingham of Kilkenny City Harriers. Fresh from completing his scholarship in The University of Mississippi in America, the Irish International led the chasing group through the first km in 2:45. From here he just drove on and roared on by the crowd gathered at the finish line, he stopped the clock at an outstanding 14:22, a full 36 seconds inside his own course record. Freddy was next home in a time of 14:42 which was also inside the old record while KCH’s James Ledingham completed an impressive outing with a finishing time of 15:36 to claim the third podium placing. The women’s race was also an excellent encounter with the inform Madeline Loughnane of Thurles Crokes recording her first victory in Borrisoleigh. 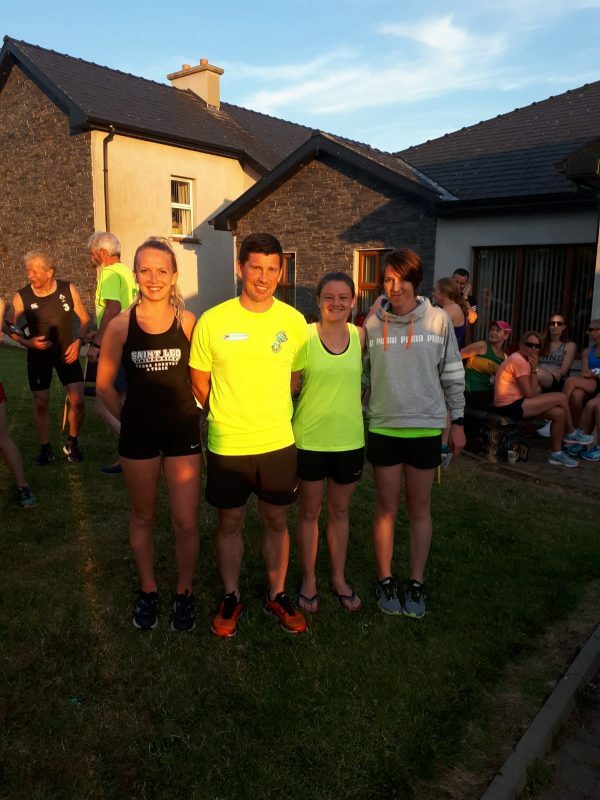 A finishing time of 18:17 in such heat further highlighted the excellent form that the Crokes athlete is in and she proved to be a very popular and well deserved victor. 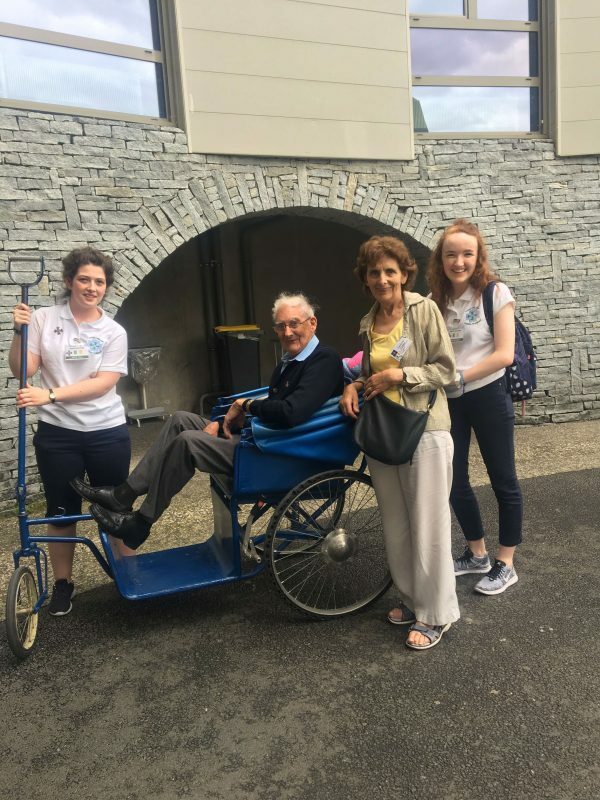 Clonmel’s Laura Tobin returned to Borrisoleigh and it proved to be a fruitful journey, returning to the Suir-side town with a second placing to her credit. On the night, she clocked 18:33 and 29 seconds ahead of the third place athlete who was Grace Reilly from Portlaoise AC. This year saw the Track-Attack Perpetual Cup up for grabs for the first time for the winning team. A team consisted of a club with 3 men and 3 women but an athlete who finished in the top 3 individual were not permitted on the team. The strength of the Dundrum team was hugely evident once participants started to stream over the finish line. 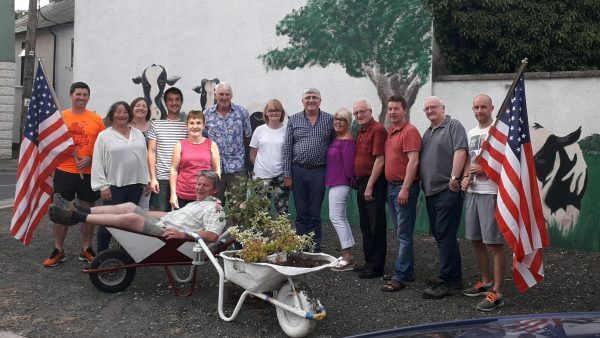 Their overall victory was copper fastened by the excellent performances of Dermot Hayes, Gareth McGlinchey, Eamonn Morrissey, Dymphna Ryan, Linda Grogan and one of the stars of the night, Millie Kelly. David Sheehan of the Nenagh Tri Club ruled supreme in the Over 40 men’s grade, claiming the title in a time of 17:01. Winning the Over 50’s and fourth place overall was Dermot Hayes of Dundrum in a time of 16:54 while the first over 60 to cross the line was Jack Alexander of Coolquill in 21:02. Martina Ryan of Thurles Crokes ran a super race to claim the Over 40’s women title in a time of 21:36. After travelling from An Bru, Helen Hartigan made it a worth while trip with victory in the Over 50’s grade in a time of 23:12 while Carmel Mac Domhnaill claimed the Over60 title in 24:40. John Vahey proved to be King of the Track-Attackers with a 15th place overall and a time of 18:29. Eithne Kennedy was the first female Track-Attacker in a time of 21:54. A fantastic performance from Adah Minogue saw her take the first junior Track­­-Attacker prize in a time of 29:30. Michael Small N.T. 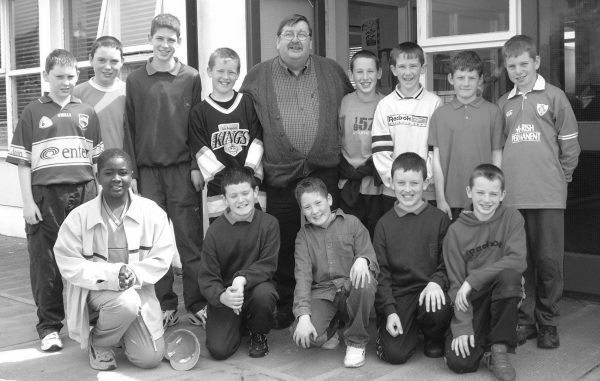 pictured with his last class before his retirement in 2003.